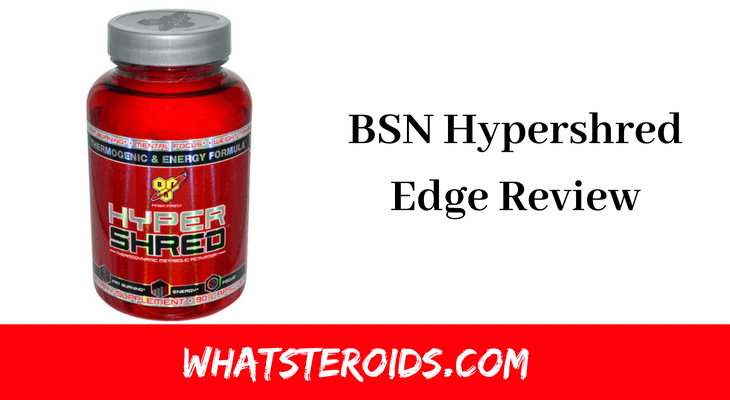 BSN Hypershred Edge Review: Burn It Out Fast And Easy! Cosmetic surgeries, liposuction, all in all, talking of needles and that frustrating diet plan where we are to quit nearly everything, doesn’t all of this sounds like a debauched thing just to lose weight. What if just dedicated hard work in gym decent diet plan and just a little edge support of supplementation that we usually do not cover up with our regular diet gives us those results that we always wanted. Sounds great! But it's important to know what you are choosing when the question is about your overall health, thus this review is what you definitely don’t want to miss. 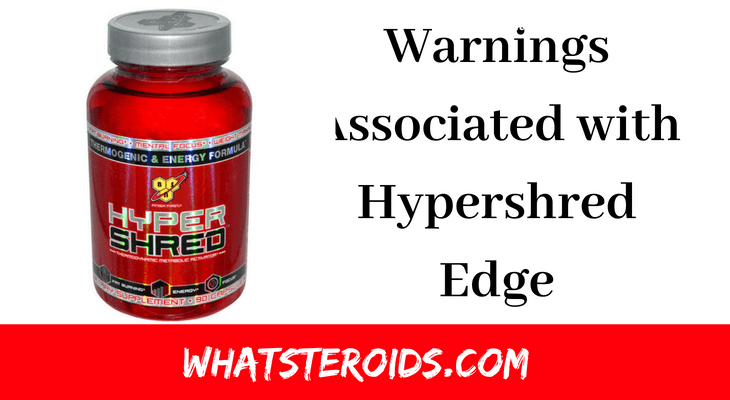 What Really is HypershredEdge by BSN? BSN is a supplementation company based in Ireland. Hypershred is one of their products designed with certain specifications to help one lose fat and attain that ideal physique. BSN happens to hold a good reputation overall thus this product has a lot of hopes to it. Hypershred overall claims to burn fat helping to lose weight, boost up your energy levels and help you focus better. Related Article: Noocube Review: Does Really Its Work? How Shall One Consume It? It’s a simple pill with all the fast and effective ingredients in it; one isis just supposed to pop it in with a glass of water. It's not recommended going off tracks with the dosage mentioned on the container itself, i.e. not more than 2 pills a day. It’s better to keep a gap of at least 4-5 hours between each dosage and not consume it on empty stomach. If only you are able to take the tolerance of the first dosage then only should you opt in going for the second pill be sensible to judge your conditions. All in all, it’s the game of ingredients that makes it so effective or just another scammer. Hypershred Edge contains a bigger portion of natural leaves and extracts in its proprietary blend of ingredients. It contains 10 main ingredients that are quite a large number, generally in such cases less and effective works but the ingredients used in Hypershred are all well studied by scientists to show effective weight loss results. There are many products out there claiming their best shot but that’s just marketing stratagem one shall always to a proper research while choosing a health-related product/supplement. It tends to increase focus but that’s not what we tend to look for when we are searching for a fat burner supplement. But yes focus and energy are necessary to get that work done in the gym. L-Tyrosine is a great Nootropic supplement to be specific as it shows great improvement in cognition. Another ingredient which is not necessary when looking for a fat burner really but its also proven to reduce fatigue and boost focus. It may work as a great pre-workout supplement. Caffeine is known to boost energy, which can ultimately be a great ingredient in any fat burner supplement. When you are on the quest of cutting down those calories you need to have that energy to workout but the problem lies is in the dosage. Hypershred Edge contains 200 mg of caffeine per capsule. It may be a good work out supplement as they are there to really pump you up for the gym sessions but it’s better to choose carefully. Fat burner is supposed to be designed in a way so one may take it at any hour of the day not just as a pre-workout. These two work best as the energy stimulants and boost your energy levels however having too much in any fat burner isn’t sound news. Thus many people end up suffering from jitters and energy crashes. As Hypershred Edge already has enough caffeine dosage and this on top is just increasing one's risks of side effects why do you need so much of energy in a fat burner that’s the real question? It’s one ingredient known for ages for its health-boosting properties. Asian homes have adopted it for their daily tea. Green tea is notorious to promote fat loss, as it comprises of high amounts of catechins. These are compounds that are best for weight loss and burning fat overall. Does eating spicy food or chilies make you sweat? That’s because they raise your body temperatures and that’s exactly what Cayenne Pepper Extract does it increases your metabolism too promoting fat loss. These kinds of ingredients are known as thermogenic and studies confirm of them being helpful in shredding down belly fat. It’s also another energy booster as an ingredient in there. But too much of such ingredients aren’t needed as mentioned earlier. It’s there in Hypershred Edge to give it a taste and also improve its absorption rate. It’s not a key ingredient but a supporting one. It seems to be an empty ingredient in it just a filler. If anything has some advantages it happens to have some drawbacks too, let us have a further look over its Pros and Cons to understand the product better. Might react with certain medications thus consult your doctor before taking it. It’s best to consult your doctor if any of these exceed their limits. Being a thermodynamic metabolic booster it helps it increasing metabolism and losing weight both with providing one with ample amount of energy to hit those gym hours at their best. It helps improve focus but there seems no solid proof of adeptness to show crazy results. So it’s advisable to definitely keep working hard it you need to really see potent results. Hypershred Edge happens to be a great product when it comes to the ingredients in it like Green Tea Extract, Cayenne Pepper, Caffeine and more which do act as fat burners but there are also many filler ingredients that are not necessarily needed when one is looking to cut down on fat rather than increasing energy only. But all in all, it is a good product but yet has some due side effects so its better to be judicious enough and know what might be the best option for you as this review was to give you the better hand knowledge of Hypershred Edge overall. Revboost Review: Does It Really Deliver What It Claims? Must Read! Lipo-6 Review: Do not Buy Until you Read This!